MTSU alumnus Jay Qualls’ latest reality show experience was shorter than hoped: he was the first two of 16 competitors eliminated Thursday night on cooking contest “The Taste,” which recently launched its second season on ABC. “The Taste,” which premiered Jan. 2, airs at 7 p.m. CST on Thursdays on ABC. Learn more here. The show’s four celebrity chef judges — Anthony Bourdain, Nigella Lawson, Ludo Lefebvre and Marcus Samuelsson — compete against each other by building and mentoring four-person teams based on blind auditions. The contestants, who range from culinary amateurs to pros, are competing for a $100,000 cash prize. Qualls, who was competing on Lawson’s team, was described in an Entertainment Weekly online article as “quick-witted, totally open to criticism, and seems like he’d be a dream to work with.” However, Thursday night’s show found Qualls and his team losing the team cooking challenge based on his soup dish, followed by Qualls getting into a somewhat testy exchange with judges after finishing last in the individual challenge. According to the ABC website, each episode features the groups facing team and individual challenges with a variety of culinary themes through several elimination rounds. At the end of each episode, the mentors judge the competitors’ dishes blindly, with no knowledge of whose creation they’re sampling, what they’re eating, how it was prepared or whom they could be eliminating. You can follow Qualls on Twitter @JayQualls and Facebook. 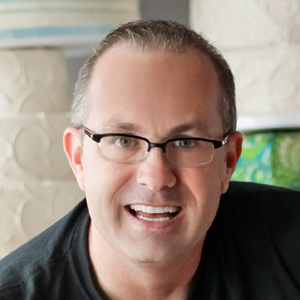 For more about his cake business, visit www.jayqualls.com.